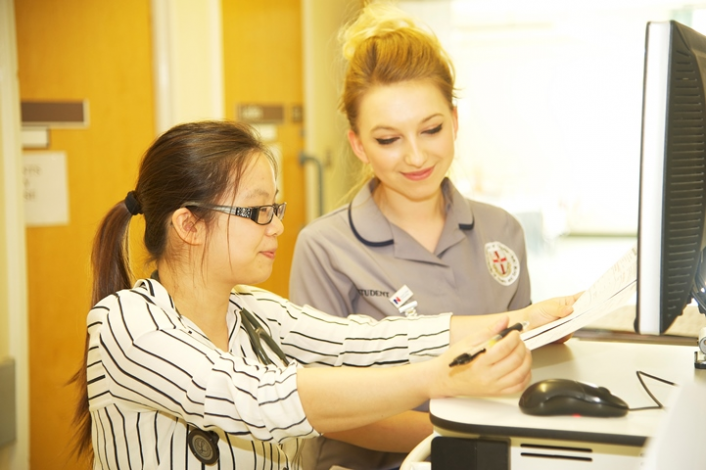 There are many standards - which are set nationally, regionally, locally and internally – that help you to assess that we provide the best possible care and experience for our patients. On this page we provide information and links to the latest ratings and reports about our hospitals. Where possible we provide external web links to the reports produced by other organisations about us. The Care Quality Commission (CQC) is the body responsible for checking that all hospitals in England and Wales meet national standards. The CQC also perform hospital inspections that check standards and that we are treating patients with respect, involving patients in their care, caring for people safely and protecting them from harm. Inspections also look at staffing. These inspections can be unannounced inspections where the trust has no notice of the CQC visiting or themed inspections looking at particular areas. All trusts also now receive a comprehensive CQC inspection of services where a team of inspectors come for a longer period of time and look at all services across a hospital trust. Our comprehensive inspection took place in March 2017 and the results were published in November 2017. The inspectors spent five full days in the trust's hospitals followed by unannounced follow up visits to areas in March 2017. As part of this inspection, patients and the public were invited to give their feedback and views on the care and services that we provide. 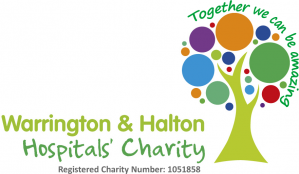 The CQC rated Halton Hospital as requires improvement and Warrington Hospital as requires improvement. They rated caring in the trust as good across the board in all of its services. We carried out an announced inspection of Warrington Hospital and Halton General Hospital between the 7 and 10 of March. In addition, we carried out an unannounced inspection between 3pm and 9pm on the 23 March 2017. This inspection was to follow up on the findings of our previous inspections in January and February 2015, when we rated the trust as requires improvement overall. We also looked at the governance and risk management support for all of the core services we inspected. As part of this inspection, CQC piloted an enhanced methodology relating to the assessment of mental health care delivered in acute hospitals; the evidence gathered using the additional questions, tested as part of this pilot, has not contributed to our aggregation of judgements for any rating within this inspection process. Whilst the evidence is not contributing to the ratings, we have reported on our findings in the report. We rated Warrington Hospital as requires improvement overall with Medicine [including older people’s care] Critical Care, Outpatient and Diagnostic services and Maternity and Gynaecology Services as requires improvement. We rated Surgery, End of Life Services and Services for Children and Young People as good. We rated Halton General Hospital as Requires Improvement overall, with Medicine [including older people’s care] and Outpatient and Diagnostic Services as Requires Improvement and Urgent Care Services and Surgery as Good. We rated Warrington and Halton NHS Foundation Trust as Requires improvement. There had been progress since our previous inspection with improvements noted in urgent and emergency care, maternity, outpatients and diagnostics and critical care. However, the Trust continues to require improvement. The trust had developed the Paediatric Acute Response team to deliver care in a Health and Wellbeing Centre in central Warrington. This allowed children and young people to access procedures such as wound checks and administration of intravenous antibiotics in a more convenient location. It also allowed nurse-led review of a range of conditions such as neonatal jaundice and respiratory conditions in a community setting that would have previously necessitated attendance at hospital. The trust had direct access to electronic information held by community services, including GPs. This meant that hospital staff could access up-to-date information about patients, for example, details of their current medicine. The public engagement work at the urgent care centre was innovative using the local rugby league clubs to promote the appropriate use of services on their website with Youtube videos. The environment on the Forget Me Not ward had been designed using the recommendations set out by The Kings Fund to be dementia friendly. The ward was designed to appear less like a hospital ward and featured colour coded bay areas and a lounge and dining area designed to look like a home environment. There was access to an enclosed garden and a quiet room. The training of all the consultants within the accident and emergency department in the use of ultrasound for timely diagnosis of urgent conditions. Within the urgent and emergency care division, the use of the Edmonton frailty tool in the treatment of older people in the department and the wider health economy. The trust must ensure that paper and electronic records are stored securely and are a complete and accurate record of patient care and treatment. The trust must ensure that staff receive the appropriate level of safeguarding training. Critical care services must improve compliance with advanced life support training updates and ensure that there is an appropriately trained member of staff available on every shift. The trust must ensure that the formal escalation plan to support staff in managing occupancy levels in critical care is fully implemented. The trust must ensure that there are appropriate numbers of staff available to match the dependency of patients on all occasions. The trust must ensure that all risks are formally identified and mitigated in a timely way as part of the risk management process. The trust must take action to ensure that all safety and quality assurance checks are completed and documented for all radiology equipment, in accordance with Ionising Radiations Regulations 1999. Visit the CQC website here for latest reports from their inspections at our trust.